Companies have to hold aspects of their operation in balance all the time. They must deal with opposing forces such as supply and demand or income and costs. Too often, employee safety and productivity are treated as another equation for an employer to balance. However, this view of workplace safety doesn’t just threaten employees. According to David Michaels, Assistant Secretary of Labor at OSHA from 2009-2017, it is not even accurate. Michaels recently wrote a piece for Harvard Business Review about his experiences at OSHA and the important lessons he learned through them. The main thrust of the article is his claim that workplaces can be profitable and safe at the same time, if these two goals are seen as complementary rather than opposing forces. In fact, he argues that the vast majority of workplace accidents are preventable and serve as evidence that production is not being properly managed. 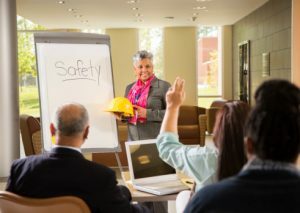 Some key ways employers can ensure workplace safety include having upper management invested in safety, embracing safety and health management systems, keeping safety as a central aspect of operational plans instead of a separate system, and valuing the input of OSHA and similar inspectors as low-cost safety consultants. These are all key systems that will go far in ensuring that safety is given its proper importance in the workplace, and their applications may differ from one workplace to another. Michaels details them well. There are others he discusses, however, that deserve special, and largely universal, attention. Michaels also talks about the need to focus on identifying workplace dangers before they strike rather than waiting for recordable incidents to occur, and why employees should not bear the blame for workplace accidents. Ultimately, both of these concerns are about trusting employees and viewing them primarily as people who understand their environment and have real needs rather than as data points waiting to be calculated. Employers need to be proactive about collecting information from employees about potential dangers in the workplace, including near-miss incidents, unsafe conditions, and other suggestions. By having employees notice these issues and then taking action on them, employers show that they value workers, and this in turns helps employees invest in their work and their duties. When workplace systems break down, employees suffer. They should not then have to also endure the blame for preventable dangers. If you have suffered a workplace injury, contact us today to discuss your next steps. This entry was posted on Monday, May 7th, 2018 at 4:51 pm and is filed under workers' compensation. You can follow any responses to this entry through the RSS 2.0 feed. Responses are currently closed, but you can trackback from your own site.